Phase 1 of the New Bolsover Model Village renovation project is now complete. Handover took place in November and Bolsover District Council now have tenants settled in their newly renovated homes. The £10million project being delivered by Woodhead Improve with support from their specialist heritage team Woodhead Heritage began last November. Woodhead Improve is carrying out essential repairs and restoring architectural features including windows and doors at the 194 Grade II listed properties. The project, procured through EEM Ltd has been funded by approximately £8m from Bolsover District Council’s housing revenue account, £1.9m from the Heritage Lottery Fund and £40,000 from Derbyshire County Council. The properties will also see their original features restored such as new cast iron rain water goods and re-pointing of brickwork and chimneys. In addition all 138 Council-owned properties will receive repairs to their roofs and internal thermal insulation. As part of the scheme, training and work experience opportunities have been made available to local young people, with up to eight apprenticeships offered, 10 positions for local trades people, a Tenant Liaison Officer and Admin Officer. Since work began in November 2016 the village has seen vast physical changes and residents have been part of many community involvement projects and activities. Councillor Ritchie, who has been involved with the New Bolsover New Beginning project from the outset said, “I’m thrilled with the results so far and the completion of phase one is a huge milestone for the project. 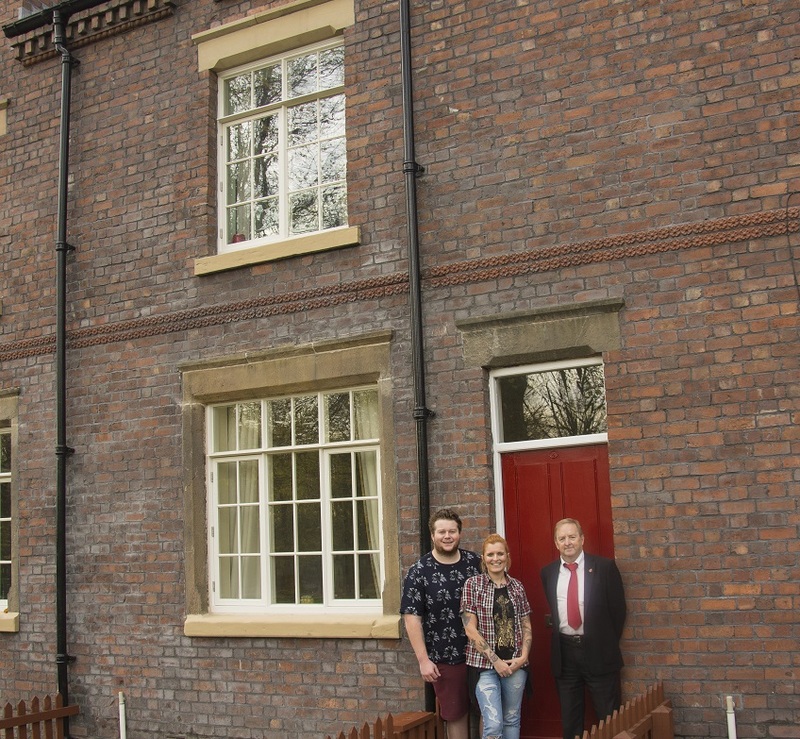 It’s always a pleasure to meet the tenants who will benefit from these life changing projects and I’m looking forward to seeing the next phases through to the end.” Gemma Kennedy.